Take Our Acclaimed Tutorials Away With You In Your Very Own e-Book. Plus exclusive e-Book only tutorials on RDF syntaxes and NoSQL databases. 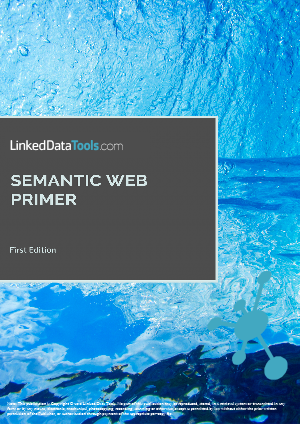 All our Semantic Web Primer tutorials plus two exclusive bonus tutorials found only in the e-Book. Learn about other popular RDF syntaxes such as Turtle, N-Triples and RDF/JSON not covered in our web tutorials. Learn about other important emerging ways of storing data such as document databases, wide column databases and more in our special NoSQL Database e-Book tutorial. Easy to digest, bitesize material written in the way that makes our tutorials so popular. 10 day, no questions asked money back guarantee if you are not satisfied. We are currently experiencing technical issues with automatic delivery of our e-books. Sales of e-books will resume soon - we apologize for any inconvenience.